A comprehensive list of the baby products that are safe, delicate, and reliable. Find the best baby grooming products, medical supplies like thermometers and heating pads, and the like. Mothers have been swaddling their babies for centuries and that is the first thing a nurse does when a baby is born. There is a reason and importance for knowing how to swaddle a baby. It soothes and comforts them when they are distraught. It helps the babies get longer, more restful sleep. It reduces fidgeting during sleep, so they are less likely to end up on their stomachs (which is deadly). You may be interested in learning how to swaddle your infant properly to calm and soothe them. This will allow you both to get some more sleep. Read on to learn more about how to swaddle a baby, the benefits of swaddling and when to stop swaddling. Nowadays, there are several great clothing lines to swaddle your baby for you so you don't have to wrestle with the corners of the blankets while your child is fussy. However, if this is not a financially viable option, you can still swaddle your child in four easy steps with nothing more than a blanket. What Are the Benefits of Swaddling? There are a multitude of benefits to swaddling your infant. These include longer, sounder sleep, soothing babies when they are upset, and reducing the risk of sudden infant death syndrome. Rest is important for us all but especially newborns as they are growing so rapidly. Babies sleep around 16 hours per day, but this is usually in intervals of three to four hours. Research shows newborns get more REM, or rapid eye movement, sleep when swaddled. This deeper sleep not only ensures more rest, but also makes it less likely for the infant to fully awaken when roused from slumber. This means less frequent trips to your baby's crib to lull him or her back to sleep. Imagine being able to calm your wailing baby with just a blanket and a few simple folds. Learn how to swaddle a baby and you won't have to imagine. Research shows that in infants eight weeks old and younger, swaddling reduces crying by 42%. This two months of increased peace will help you rest and is important for both you and your baby. Babies spend nine months in the womb with not a lot of space to move around. As newborns, they have a Moro or startle reflex, where if one of their limbs experiences too much movement, they will be startled and begin to cry out in fright. This is the same as the free-falling experience that terrifies many adults. Swaddling has been a scientifically proven method of calming infants since the 1960s. If your baby does not wake up in terror in the middle of the night, he or she will experience a lowered heart rate and normal breathing. This means there will be no undue strain on your baby's heart, diaphragm or lungs. Sudden infant death syndrome, commonly known as SIDS, is one of a mother's worst nightmares. Babies who sleep on their stomachs are at much greater risk of this occurring. If you properly learn how to swaddle a baby, he or she will not roll onto their stomach and suffocate to death in their sleep. There are certain circumstances under which it is not appropriate to swaddle your baby. Do not swaddle your baby if he or she is actively resisting. This is meant so calm and soothe babies, not punish them. It may be that your infant is resisting the tightness of the swaddle, so try a lighter weight blanket if this is the case. If your swaddle is too tight, this can lead to joint problems including hip dysplasia and knee pain. Do not swaddle your baby if you co-sleep. Babies cannot move the covers away from their faces if they begin to suffocate and cannot alert you if you are too close. Do not swaddle babies who can roll over on their own. This usually occurs at around two months or eight weeks. All babies develop differently, though, so look for signs like activity during tummy time that your baby is ready to stop being swaddled. Do not swaddle babies in hot environments. If you live in warmer climates such as the Midwest or Southeast and do not have effective or any air conditioning, take steps to reduce the likelihood of your baby overheating. Remember to always place your baby on his or her back when it is time for bed and avoid loose fitting sheets or blankets that could lead to suffocation. Remove stuffed animals, pillows and any other choking or suffocation hazards before putting your baby down for the night. It is just as important to know when to stop swaddling as it is how to swaddle a baby. Parents commonly reduce the amount of swaddling after one month when babies can hold their heads up by themselves. However, research suggests a baby can benefit from swaddling for up to eight weeks. After this point, swaddling begins to inhibit motor control and may lead to joint pain. Furthermore, once babies are more independently active, the swaddle will not prevent them from rolling onto their stomachs but will pose a risk of suffocation. When you feel your baby is making great strides in their mobility, remove one limb from the swaddle at a time at night or loosen the swaddle to form more of a gentle baby burrito. There are several methods on how to swaddle a baby. Lay a blanket on a flat surface, making sure it is at least 40" by 40". Slightly fold one corner and lay your baby on top of the folded corner, ensuring his or her head is above the edge of the blanket. Hold your infant in place and pull an edge across his or her chest. Your blanket should now have gone from a diamond to a triangle. Gently tuck this edge underneath the baby's torso. Fold the bottom of your blanket up towards your baby's face. Leave enough room for the feet to move slightly so baby does not feel too constricted or overheat, but make sure it is difficult to flail. This will give baby the feeling of being back inside the womb, safe, secure and warm without overheating the baby. Wrap the remaining corner of the blanket around the baby's chest and tuck the edge underneath the torso. Only your baby's head and neck will be exposed and you can enjoy reduced crying and longer, deeper slumber. Some mothers are fortunate enough to receive baby shower gifts from friends, family and coworkers. You will be spending enough money on clothing as your baby grows, so if you have a gift registry, ask for swaddling clothes at your baby shower. Woombie offers a one-zip option that makes swaddling your baby as simple as possible. The Miracle Blanket is made up of 100% cotton and you will not have to worry about coordinating corners with a fussy, thrashing baby screaming and struggling against your attempts to soothe and calm. The Anna & Eve Swaddle Strap only swaddles baby's arms, so there is no risk for hip dysplasia, luxation of the knee or any other joint issues below the waist. It is great for any weather and totally cute! Swaddle Up and Zipadee-Zip are two great options for transitioning your baby away from swaddling, so you don't have to worry about the correct pressure while reducing the swaddling and wrestling the blanket against your baby. SwaddleMe is a very affordable Velcro option for parents who cannot afford zippers. Halo Sleepsack is ideal for babies living in colder climates to keep them warm at night, particularly if you do not have the best heat. Lilbaby is an affordable option for swaddling made of 100% organic cotton muslin and ideal for both the diamond and square methods of swaddling. Aden + Anais muslin swaddle plus is made from 100% lightweight cotton muslin to reduce the risk of your baby overheating during the night. 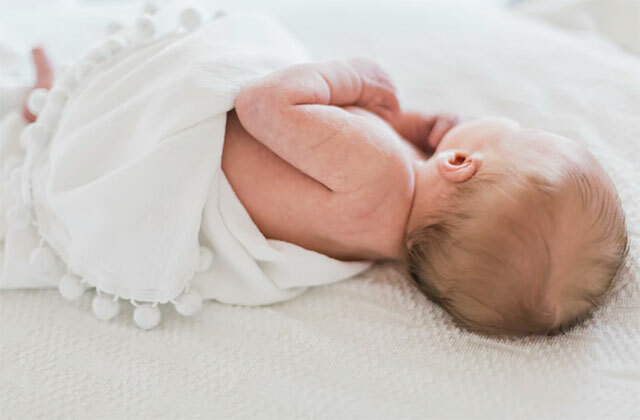 Swaddling provides many benefits for your baby including longer, more restful sleep, a reduced risk of sudden infant death syndrome and soothing when crying. While there are several methods for swaddling a baby, you can learn how to swaddle a baby in just four easy steps. If you can afford it, swaddling clothing is another great option and a good choice to add to your gift registry. 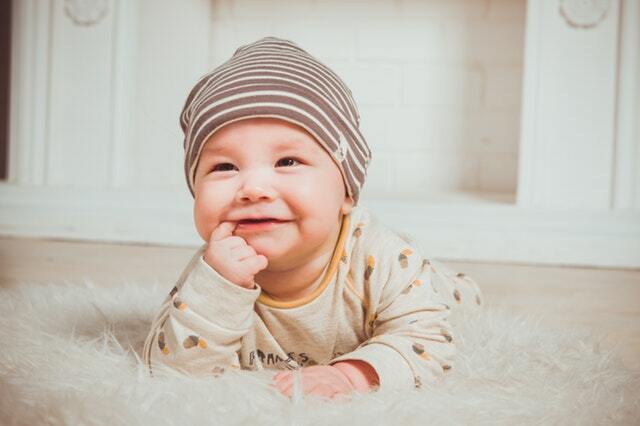 You can buy clothing swaddles for warmer climates, colder climates and even transition swaddles, so your baby does not go from sleeping peacefully throughout the night to waking up frequently. As important as knowing how to swaddle a baby is knowing when to stop swaddling. While initially reducing the risk of suffocation, once your baby is more active during tummy time, it is time to start reducing the swaddling he or she receives. Start by removing one arm from the swaddle and then after a week or so, remove the next arm. Continue progressing slowly until the baby no longer needs to be swaddled to sleep through the night. Be prepared for your baby's sleep to regress as he or she adjusts to the new sleeping arrangement, listen to your instincts and the nonverbal cues your baby is giving you. Seek professional help if you need any advice or have any questions that you need answered about baby care. Every new parent has a multitude of questions with ‘when do babies sit up’ being the most common one. In fact, infant growth is viewed as a developmental elevator with each level indicating a new skill learned. If the interaction of your baby with you and other caregivers is enriching and responsive, new levels are scaled smoothly. However, it is important to note that every infant is different in the way new skills are developed. The milestones listed here are average time frames. When Do Babies Sit Up? Infant milestones are usually classified into language development, motor development and social or emotional development. The first 3 months are the most exciting period of time for your baby. There are new sounds, sensations and visions that differ from the sensations your baby felt while in the womb. Towards the third month, you might get bombarded by the question of when do babies sit up? However, it is important that you do not give in to worry and enjoy every moment you have with your baby. The first month of a baby’s life is spent in reflexive behavior. This means that actions performed are automatic to the stimulus. As the weeks go by, the nervous system matures which allows a baby to put more thought in his or her actions. By the end of the first month, you will notice changes in your baby that indicate him or her becoming a responsive and active infant. The first three months are spent developing a cooing sound. There will be no words or other noises. The cooing sound will be in the form of aah and ooh vowels. However, your baby will be able to turn towards familiar sounds such as your voice. There is tremendous motor skills development during this stage in your baby's life. There is definitely truth behind the saying that 'babies grow up quickly'. You might be fixated on the question of when do babies sit up while your baby is increasing strength and developing motor skills to make it a possibility. Most of the newborn reflexes are lost by the completion of first month. Neck muscles will grow stronger allowing the baby to lift their head while on the stomach. In the beginning, this will be done for only a few seconds. However, with time he or she might lift their head for more time. By the end of the third month, infants are able to support head and chest up to their forearms while lying on their stomach. This is also the time when you should engage your baby with sounds and visions. Your baby will even stretch out their legs and kick when on the back or stomach. Arm and hand movements also develop quickly during this quarter. Tightly clenched fists will open to grab and bat at objects. This is when your baby might also explore hands by putting it in mouth. There will be noticeable vision changes as well during this period. Your baby will become more aware and interested in the surroundings. Human faces will be the most interesting, especially yours. Other bright and primary colored objects will also grab your baby’s attention. He or she might begin to follow moving objects with their eyes and recognize familiar faces at a distance. There is tremendous hand-eye coordination development during this period as well. Social and emotional development in the first three months includes smiling at familiar faces and even recognizing them at a distance. After the first month when newborn reflexes are gone, your baby will begin to respond to your playful moves. However, it is still too soon to ask ‘when do babies sit up’. New perceptive abilities and motor skills are enhanced during this period. Your baby will develop more control at the things done rather than just reacting to the stimulus. Each developmental skill has an important learning effect on acquiring the next. You might wonder ‘when do babies sit up’ in this period and for good reason. Many infants master the skill of sitting up by the 6th month. However, there is nothing to worry about if this milestone is not achieved by the 7th month. There is a possibility that your baby is simply working on developing other skills. Your baby will slump sideways or topple by the 4th or 5th month. This is when the back muscles are developing and growing strong. Soon, your baby will figure out how to use their hands as a prop to sit up. As the back muscles strengthen and balance improves, your baby will first remove one hand and eventually sit upright. The first attempt at language is the highlight of this period after seeing your baby trying to sit up. They will cry less to get their message across and begin to ‘talk’ more. The words will not start rolling off until much later. However, there will be a combination of multiple sounds made to help you understand what the baby wants. 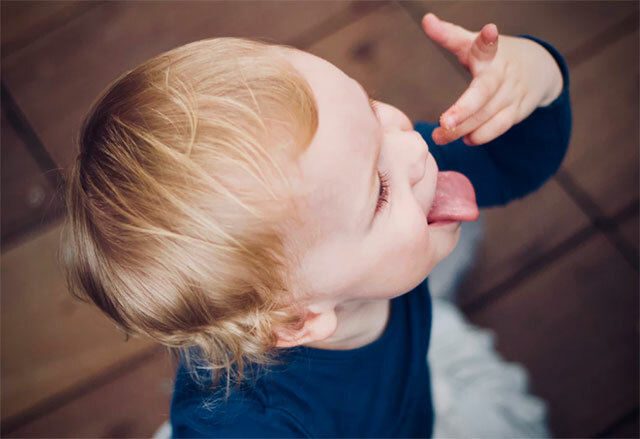 A major breakthrough in speech development occurs during the end of this period when an infant discovers that sounds can be altered by changing the shape of mouth and tongue. They link long strings of vowels and consonants to create a babble that they voice out repeatedly. A baby might also learn to change the ‘ba-ba’ sound made with lips to ‘da-da’ sound made with the tongue. Your baby is busy enhancing motor skills. Infants begin to explore their surroundings by touching things and putting them in their mouths. Parents begin to wonder ‘when do babies sit up’. Once infants can lift their heads, they will start using arms to push up and arch their backs. This helps in strengthening the upper body and is a preliminary to sitting up. The babies during this period also rock back and forth, swim with their arms and kick their legs. By the end of this period, babies should be able to roll over and back to the stomach. Sometimes, babies might even sit up. By the 6th month of life, babies have developed the ability to do more than simply cry when they are hungry or tired. They have developed the emotional skills required to communicate a change of activity. They will also develop a strong attachment to their parents and may show preferential treatment for their primary caregiver. Towards the 5th or 6th month, some babies might develop stranger anxiety when they show their displeasure at being handled by a stranger. However, most babies usually smile and play with everyone. If your baby has not already begun to sit up, then this is the period when he or she will. This period will answer your question regarding ‘when do babies sit up’. 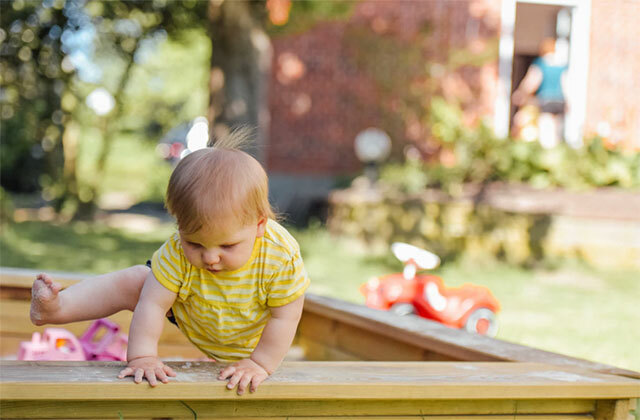 Babies become increasingly mobile during this stage and you should think of childproofing your home for added safety measures. This is the period in which there will be major breakthroughs in the language development. Your baby will begin gesturing. This is an important predecessor to language. Later on, these gestures will be replaced by word equivalents. Your baby might lift his arms and speak to you through eyes to let you know that he or she wants to be picked up rather than crying. Alternatively, he or she might start squirming or point to the floor to be let down. You will have a real explorer on your hands by this time as the motor skills develop to allow your baby to move around. 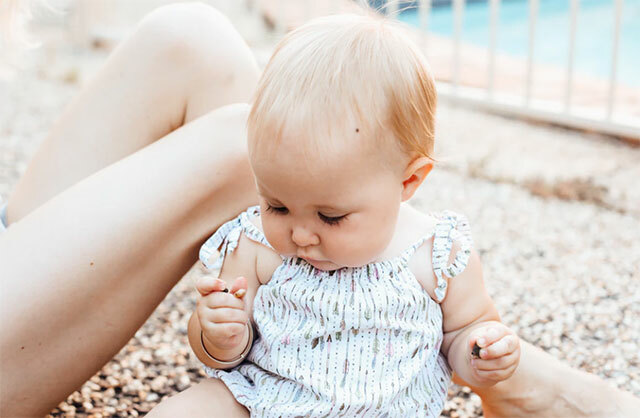 This stage is crucial as your baby learns two critical factors required for wholesome development–crawling and picking up things. Most babies are ready to take those first tentative steps by the 12th month if they haven’t started already. However, before your baby begins to walk, he or she has to graduate from crawling to standing and then cruising. Cruising is when the baby moves a short distance using furniture or other objects for balance. During this stage, babies understand the concept of object permanence. This means that an object exists even if it is taken away from in front of their eyes. Separation anxiety and stranger anxiety are two normal aspects of emotional development during this period. Your baby will begin to cry when you leave the room and might become shy around strangers. Infants develop social skills that allow them to find hidden objects easily and also use these objects correctly. For instance, after observing you, your baby might begin to hold a phone to ear. Allowing your child to achieve each milestone at his or her own pace is perhaps the most important factor to keep in mind. Babies are born with their individual temperaments and dispositions. An easygoing disposition might take longer to walk as compared to one that is impatient. It is important that you never underestimate the role that your love and nurturing plays in the development of your baby. Invited to a baby shower? Are all of your friends entering that phase of life where there seems to be a new baby every few months? Are you tired of trying to find the perfect gift? Rely on us here at sweetmomsblog.com to inspire you with some great gift ideas in our 10 Best Baby Gifts for New Mothers list. Does this family have other children? When you are buying a gift for a second or third (or more) child, be aware that this family will already have a lot of gear, clothes, blankets and so on, so you may want to concentrate on more personal items. The Keepsake photo frame or the Animal Lovers Baby Book might be good choices. How big a space does this family live in? For families living in tight spaces, small meaningful gifts are the ticket. You might want to consider the Brownlow First Bible or the elephant-themed keepsake box for families living in small spaces. New moms appreciate practical items. Look for gifts that solve common problems or that have multi-functionality. We include several ideas here on our list, like the diaper changing pad or the feeder/teething toy. What is your relationship with the new mom? If you are very close, a more personal item is appropriate. If you are just a passing acquaintance, you will want to stick with a standard gift. For more personal gifts, check out the swaddling blanket or the Brownlow first Bible. For our best 10 lists, we looked at several products that offer convenience for new moms and dads. We looked for products that are special, practical, meaningful and particularly different. We want you to be able to choose from a wide variety of possibilities and depending upon your relationship with the new parents, your budget and your esthetic preferences may vary. We looked at the materials that each product was made from, the practicality of the gifts, the sentimental value of the gifts, and the overall rating of each of the products. We wanted each item on this list to be a quality piece you could pick up for any new or expecting mom and know it will be a great gift! As such, we looked at products with multiple uses or which will be useful over many years. We know you may be invited to several baby showers each year and buying gifts for all your friends can be costly. We looked for products that deliver great value but do not break the bank. We hope and trust you will find just what you are looking for on this list of 10 best baby gifts! Your particular budget is the only restriction on cost for new baby gifts. We focused our attention on gifts ranging from $6.00 to $35.00 just to give you lots of options. Not just another photo frame, the Tiny Ideas Keepsake frame has a space for a photo of the newborn with a place designed especially for the baby's hospital bracelet. It's a small gift, only about 9in X 9in. with space for a 6in. X 4in. photo. Yet, it is thoughtful and gives the new parent a place to display this important memento - the teeny tiny baby hospital ID bracelet. The frame can be wall-mounted or set up on an included easel for a tabletop display. It is made of rugged plastic with an acid-free photo mat. It comes in three colors: a blue mat with a white frame, a pink mat with a white frame, or a white mat with a silver frame. 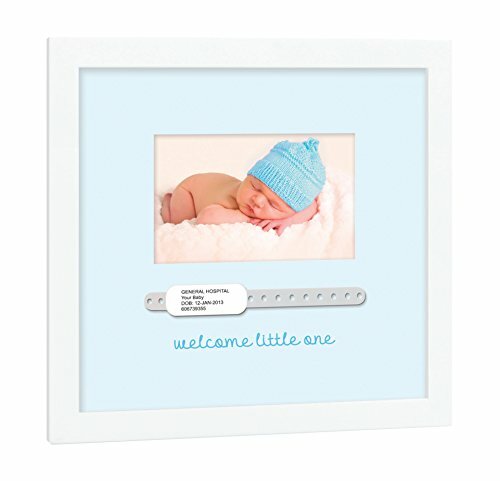 The photo mat in all three colors comes already inscribed with the message that says, "welcome little one." 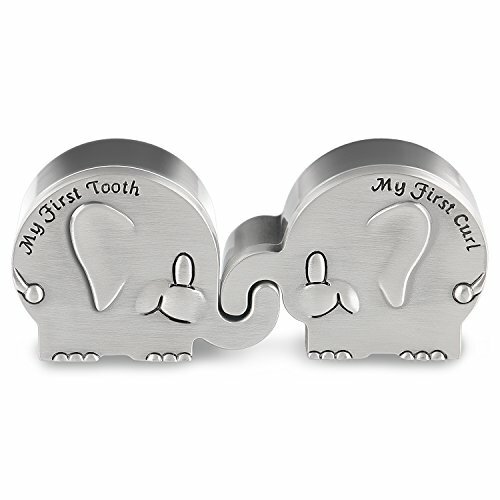 A thoughtful gift that doesn't add to the household clutter of a new or expanding family. Every new parent wants a way to record all the adorable and beautiful moments of Baby's first year and beyond. Especially for the mom who is not - or does not have time to be - crafty, the Lucy Darling Little Animal Lover Memory Book makes it simple. The pages are already labeled and cute without more effort than attaching a photo and writing a few words. 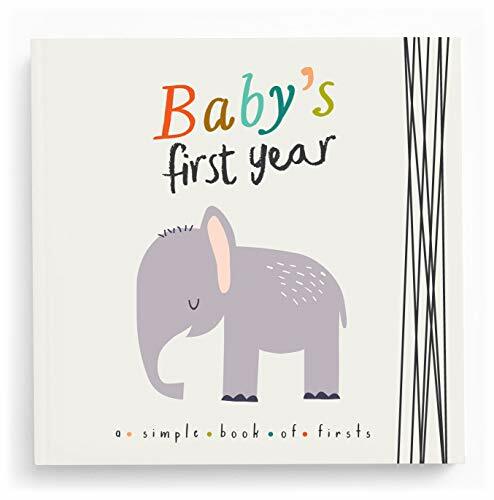 This memory book makes our list of the 10 Best Baby Gifts for New Mothers because it is useful and thoughtful. For those concerned about the environment, this book is printed with soy-based inks. 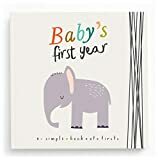 It includes pre-birth pages, arrival pages including a space for Baby's footprint, a few pages to document the world news and trends, several blank pages, and if you want to keep on documenting, five birthday pages and a first day of school page. Is not a completely novel or unique gift - people have been giving baby books to new parents for generations. Among the 10 Best Baby Gifts for New Mothers, you might expect to find a hanging growth chart and this Ashtonbee product has features that make it a great gift. No one wants to record their child's growth on a door jamb anymore! This height chart hangs from a sturdy rope attached to the top. It is portable, foldable and durable. 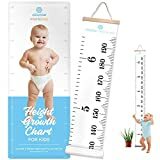 Unlike other growth charts, this one is made of canvas for a product that will last until Baby grows up. It is easy to mark with any fine tip marker and can move with the family. The design of this growth chart is simple and elegant - no fancy illustrations. It is a simple, gender-neutral black and white design and has both metric and standard measurements. 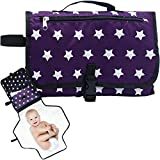 We include this Diaper Bag and Changing Pad on our list of 10 Best Baby Gifts for New Mothers because it has plenty of great features. It has three compartments to help Mom keep all the gear organized. 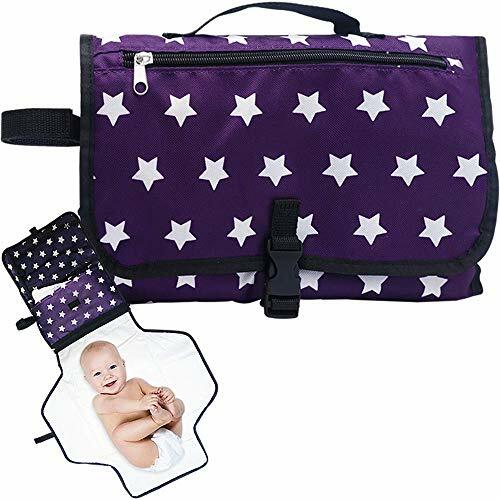 It has a detachable, waterproof changing pad and velcro strips so that you can attach the bag to your stroller or to Baby's car seat. The changing pad is extra wide so that no matter where the parent has to change Baby's diaper, he or she can be sure that the baby is not reaching past the pad to germy surfaces. The whole bag is easy to clean and has a gender-neutral design. Measuring only 13 X 8.5 X 1 inches, this bag may not have room for toys, bottles, etc. Who does not love a product that has multiple functions? 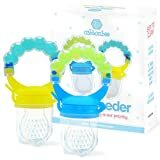 Busy new parents will appreciate the functionality of this Rattle/Teething Toy/Feeder - which is why we include it here on our list of 10 Best Baby Gifts for New Mothers. First, the Grab n' Shake is a feeder designed to help introduce Baby to solid food. It has a silicone pouch perforated with holes so tiny that only the smallest particles of food can get through. Feed your baby pureed fruits or veggies, milk, frozen juice, or even medicine. Just fill it, snap on the cap, and throw it into the diaper bag. Second, the Grab n' Shake is a teether with various shapes and textures designed to stimulate Baby's gums, ease the teething pain when the time comes, and support healthy tooth growth. Finally, to support Baby's fine motor skill development, the Grab n' Shake triples as a rattle. Because this one is going to go directly into Baby's mouth, Mom and Dad will be pleased that it is BPA-free, BPS-free, LEAD-free, PVC-free, and PHTHALATES-free. It is made of food-grade silicone and is easy to use and to clean. It is dishwasher safe and can be boiled to sterilize. We love products that last. That is why we include this blanket set in our list of 10 Best Baby Gifts for New Mothers. Baby will love this soft blanket, and with its generous size (30 in X 39 in.) it will be useful for years. Choose a polka dot print, stars, or a bear print. 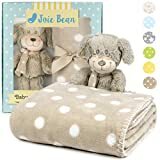 The blanket is made of washable polyester fleece that is soft to the touch gentle on Baby's skin, hypoallergenic, and warm. Each blanket comes with a plush toy. Choose a blue hippo, green frog, gray elephant, brown dog, pink teddy bear, or yellow duck to complement any decor or preference. 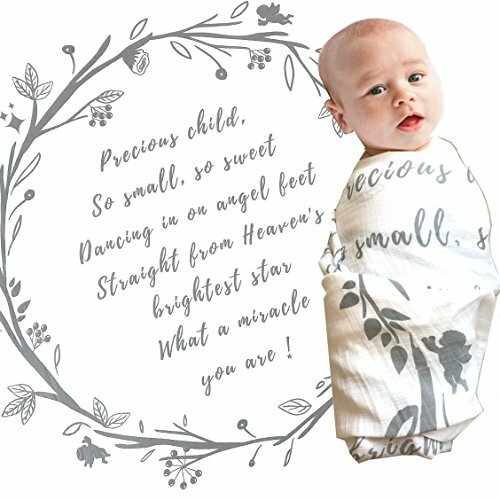 For a more heart-centered and unique gift, you will love this swaddle blanket. Made of pure, organic cotton and decorated with a beautiful quote, it is a gender neutral heirloom. 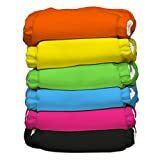 It is large and breathable, machine washable and versatile. Parents can use it to swaddle and comfort the newborn baby, use it as a breastfeeding coverup, cover the stroller, or a light naptime cover. Cotton is the preferred fabric for Baby's soft skin. It breathes and is soft to the touch. Since the best premium cotton is organic and grown without chemicals, you can be sure this blanket is safe. This tiny volume (only 3 X 3.75 inches) will fit in the diaper bag so you can carry it along with you or keep it safely in Baby's nursery. The leatherette cover comes in your choice of blue, pink or white. Inside, find classic Bible stories with 19th-century illustrations. It makes our list of 10 Best Baby Gifts for New Mothers because of its endearing, heirloom quality. 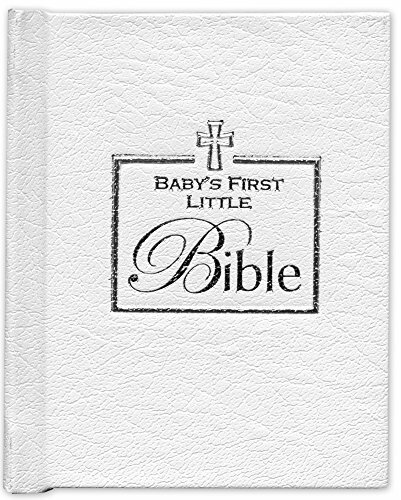 This first Bible makes a thoughtful and inspirational gift for the family who values traditional Bible stories. It was created by the Brownlow family who has made a name in inspirational gifts. When looking for a more unusual baby gift, consider this Keepsake Box. It is a small, elephant-shaped set of twin boxes - one for keeping Baby's hair from a first haircut and one for keeping the child's first tooth in the years to come. The interlocking boxes are made from a non-fading, non-rusting zinc alloy and lined with deep, rich blue velvet. This product makes our list of 10 Best Baby Gifts for New Mothers because of its small size, and great usefulness and appeal. That first curl can never be adequately preserved in a baby book, and neither can the lost teeth in years to come. This adorable set of interlocking boxes is just perfect to preserve these important mementos of childhood. It is never too early to introduce the best baby gifts to the joy of books. 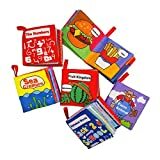 This set of six soft books are specially designed for babies. 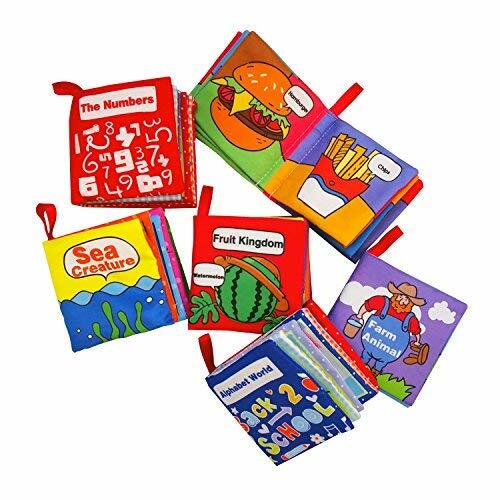 Each book is on a different topic: Alphabet, Numbers, Fruits, Foods, Farm Animals and Sea Creatures. The books are soft and washable. Baby can even take the books into the bath. The pictures are colorful, and the words are simple and in a large font. If there are other children in the new baby's house, it will be nice to provide the newcomer with his or her own special books. We hope that our list of the 10 Best Baby Gifts for New Mothers has given you a lot of ideas about the next best baby gifts you will buy. Whether you are looking for the personal or the practical, you are sure to find a great gift that fits your budget! We all want the very best for our children, especially when they are babies and at the most important and most vulnerable stages of their lives. Something as simple as having the best humidifier for your baby in their nursery will be the difference between a clean, safe room your baby will breathe happily in and a germ-filled sickness-inducing room. The choice is obvious when we think about how much we care about our little ones! We are excited to share with you ten of the best humidifiers available on the market today for purchase. 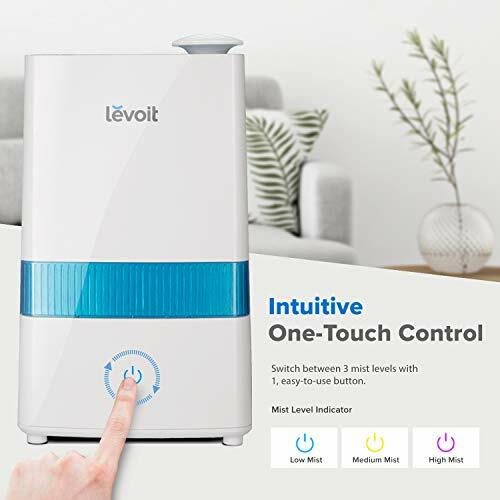 Since there are so many models and styles out there and each one claims to be "the best humidifier on the market," the choices can be daunting and overwhelming. We are here to help you out, and our team worked hard to research tons of different models to bring you only the best out there for the best value! This article contains our findings. 1. How Do Humidifiers Work? 2. 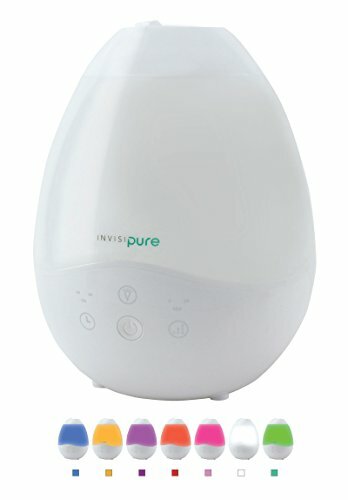 How Will The Best Humidifier Benefit My Baby? 3. What Different Types Of Humidifiers Are There? 4. What Safety Precautions Should I Be Aware Of? 5. 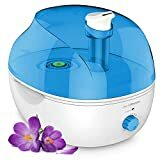 Overall Price Range Of The Best Humidifiers? We found and answered a few important frequently asked questions regarding the best humidifier on the market and why it will benefit your baby. 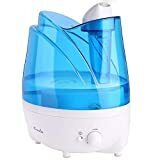 We also included helpful guides on which types of humidifiers there are and what safety cautions you should know to ensure no one gets hurt and you use the product properly. We have included the overall price range of our top ten list so you can set a budget for yourself and narrow your choices. 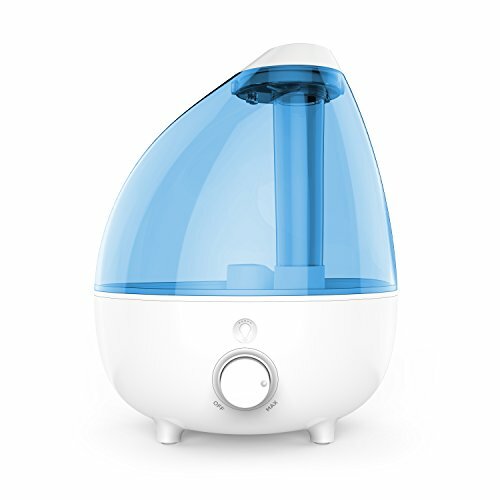 There are two main types of humidifiers: warm mist and cool mist. 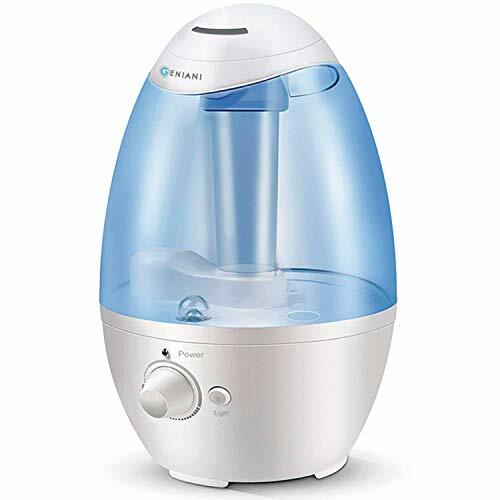 Warm mist humidifiers are known to kill germs and viruses and make the air easier to breathe by reducing mucus and opening respiratory passages for your baby. 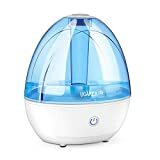 Cool mist humidifiers emit room temperature air and are safer than warm ones because they do not run the risk of scalding your baby if touched or played with. If your child is suffering from croup, a doctor may also recommend cool mist. As far as performance goes, the only difference is the temperature of the air, and neither one is a better performer than the other. Humidifiers protect against dry air, especially in the winter months when your in-home heating system robs your indoor air of its natural moistness. Harsh, dry air can cause frequent sore throats, dry sinuses, and stuffy noses and since babies are more susceptible to these symptoms, it becomes even more important to prevent congestion. A humidifier will do this easily and also create optimal breathing conditions that will allow your baby to sleep soundly and comfortably without building up mucus. Babies may experience irritated and dry skin from de-humidified air, and you may notice your baby has developed red patches and chapped lips. Even conditions such as eczema can be caused by dry air but a humidifier will allow the skin to remain soft and clear by keeping its natural moistness. 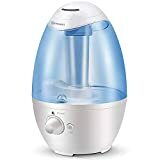 Humidifiers also provide soothing white noise that not only drowns out background noises such as dogs and the television, but it also mimics the whooshing sounds your baby heard in the womb. It will lull your little one into a peaceful sleep. 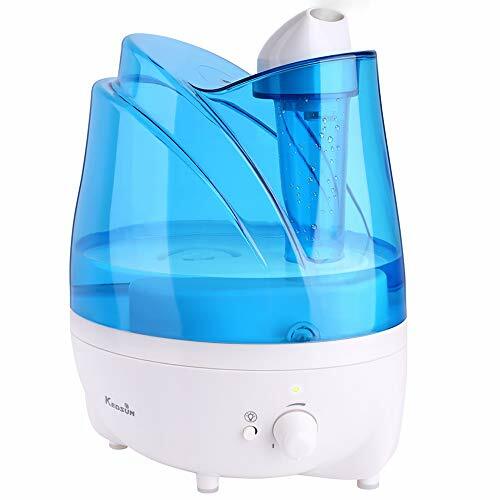 There are three basic types of humidifiers available on the market, and it is important to understand the difference in cost and abilities before starting your search for the best humidifiers. Tabletop humidifiers are the most affordable and most popular option out there. They are portable and easy to clean, move, and take on the go because of their compact size. These humidifiers only work to emit moisture in the room. Console humidifiers will emit moisture into the entire house because they are much larger than tabletop models and can hold up to nine gallons of water depending on the model. They are more expensive options than tabletops. In-duct humidifiers are installed right into your home's air ducts and require the least amount of maintenance with the most efficiency. These are often the most expensive options on the market. When purchasing a new humidifier, make sure you carefully read the instructions for proper care and the safety warnings and hazards associated with it. There are also a few general precautions you should know to keep accidents at a minimum. First, remember humidifiers need to be sanitized to prevent mold, bacteria, and mildew from building up. It only takes 48 hours for damp surfaces to grow mold, so clean them daily! 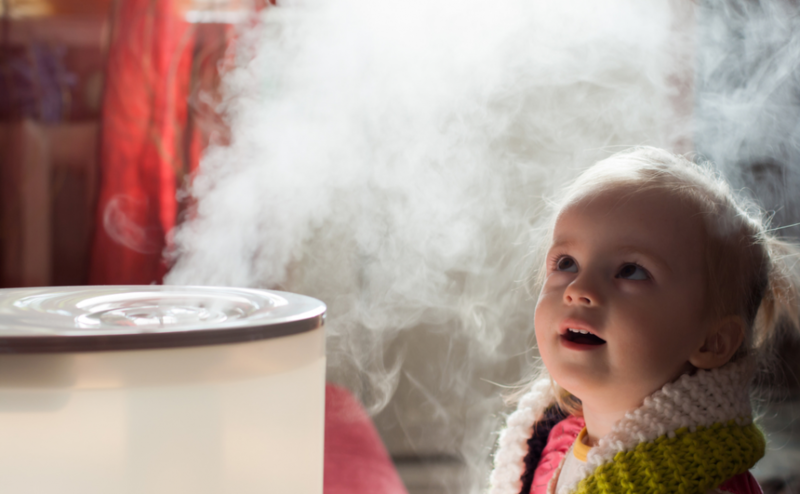 If you buy a warm mist humidifier, know of the potential for burns when baby plays with it. Make sure the steam dispenses out of your child's reach. If you live in a place that has minerals in the tap water, make efforts to only use distilled water in your humidifier. It is more costly, but much more recommended for better performance and healthier mist. Making sure you allow your humidifier to dry between uses is important to reduce the possibility of mold growing. It can also damage the unit if you are not careful! If you are looking for cost-effective options, we recommend you look into tabletop humidifiers; if you can spare the expense and would like a humidifier that will keep the air moist in your entire home with little maintenance, we recommend an in-duct humidifier. Most of our models are tabletop to appeal to the budget-conscious, and we included the price of each item so you can easily decide if it is within your budget or not. Our top ten list price range is from $23 to $100. Our team spent much time and effort to bring you this unbiased best-of list! We reviewed these ten items based on the following parameters: their respective features, their pros and cons, their price, and an Amazon link to purchase the item or find out more information. This cool mist humidifier will fill any size room or office with clean and fresh air for up to a full twenty-four hours. It has a soft night light for better and more relaxing sleep, and it automatically shuts off to save power. Its 360-degree nozzle allows mist to spread in two directions simultaneously. 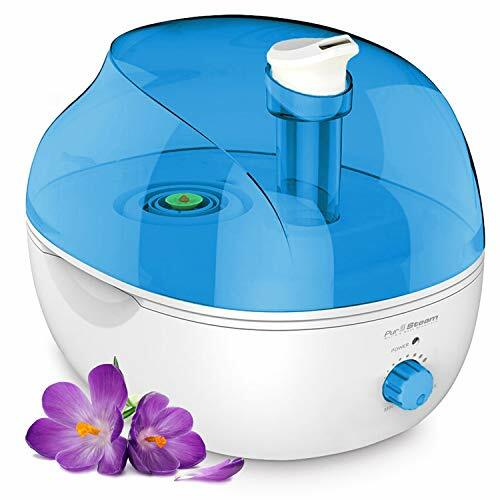 This vase-like humidifier holds up to five liters and has an automatic humidity control that will release an appropriate amount of mist according to its surroundings. The helpful LED indicator changes color according to the humidity, level and it even comes with a remote! 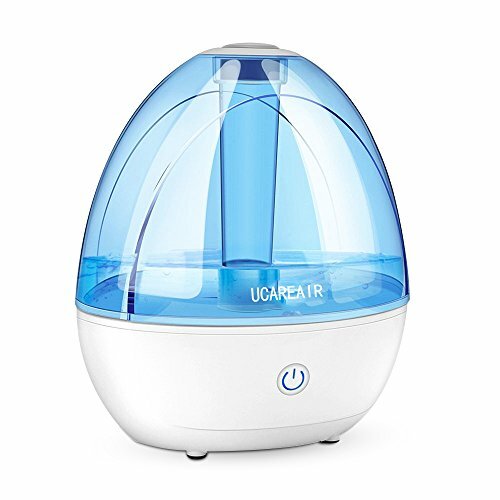 This humidifier is great for all-year-round because it can switch between warm and cool mist. It is highly customizable with a night light, a built-in timer, auto-shutoff, and adjustable mist output settings. It uses ultrasonic clean-tank technology and is easy to clean! This humidifier features adjustable mist flow and a 360-degree rotatable nozzle to fill even the largest rooms. It has a night light function and a seven-color soothing LED light cycle. 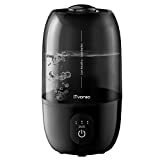 This humidifier has a top-fill design to give you total access to the insides for easier cleaning. Its oil-safe construction will not allow it to crack, leak, or corrode and its patented technology only lets water in when needed. 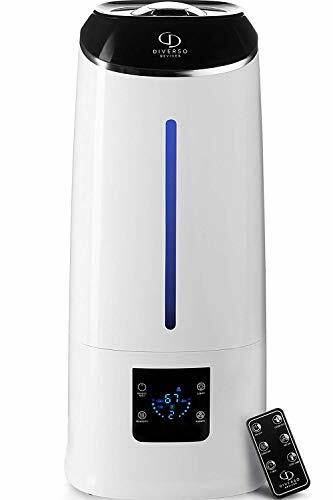 This humidifier provides long-lasting relief with its cool mist technology to bring you easy breathing for ten to twenty-four hours. It has an optional night light, an automatic shutoff setting, and comes with lots of easy-to-understand instructions and safety warnings. 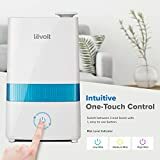 This best humidifier features a unique air channel and premium electric motor you can rely on for a long time. You can easily change and adjust the mist strength settings and its compact size packs a surprising punch! This highly adjustable model allows you to control the humidity levels and features ultrasonic cool mist technology for continuous operation all night long. Its four-liter tank allows it to substantially fill up even large rooms. It also has a night light built in! This large tank can support up to 40 hours of continuous use and has an up to 250 ml per hour ultra high mist output for large rooms up to 538 square feet. You can easily adjust the mist level from three choices and it will help you fight dry skin, wrinkles, insomnia, and nose bleeds from dry air. It has a built-in night light and a stylish design everyone will love! 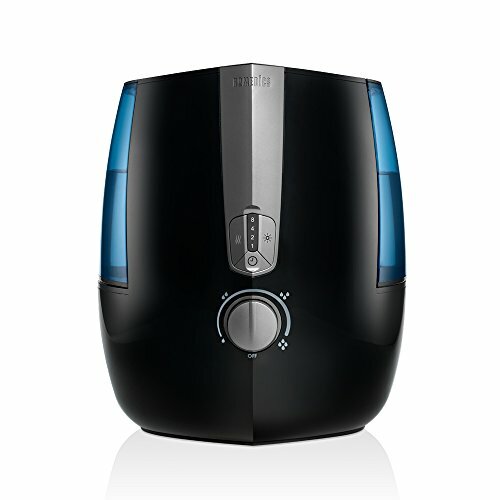 The high quality and special design of this best humidifier prevents it from leaking or cracking. Further, its high-capacity water tank will keep the humid air flowing for up to 62 hours on just one refill! It has three intensity modes (low, medium, high) with anion function to properly balance the room for your family. Everyone wants the best for their little ones and humidifiers can help us adults as well! We hope we have given you a few substantial options for the best humidifiers on the market. From this list, you can pick one out and follow its Amazon link to find out more information and purchase it for yourself. Go ahead, what are you waiting for? Your baby will thank you and your peace of mind will be worth it when you know he or she is sleeping peacefully! Choosing the best cloth diapers for your baby can be an overwhelming task. 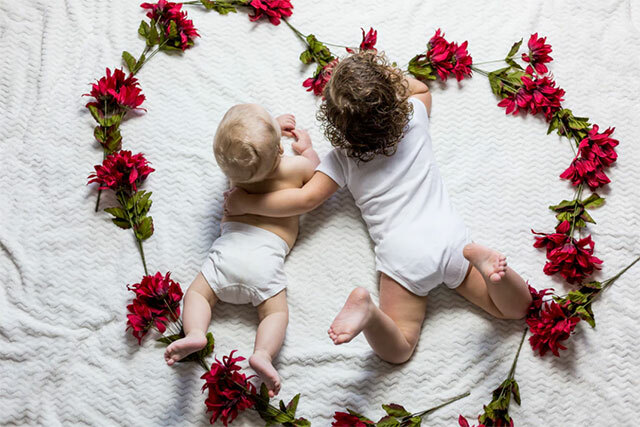 The best cloth diapers need to fit your infant’s body style, have a good fit in the legs to prevent leaks, and be sensitive enough for your baby’s delicate skin. The worst cloth diapers will contain leaks and those all too familiar blowouts. Finding the best cloth diapers for your baby will depend on what you want in a cloth diaper. Some families choose the basic flat diapers that are the old-fashioned cloth diapers we all remember. These flat diapers are a great choice for families who want simplicity yet ease of use. These will need to be pinned or clipped to stay on and require a waterproof cover. Flat diapers are often considered to be one of the best cloth diapers by many parents, because they also make great burp cloths, cleaning rags, and can be used through multiple children. 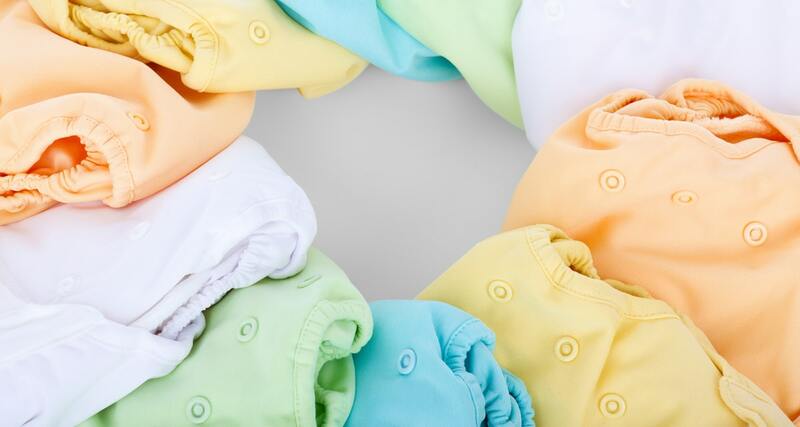 There are many reasons that families are choosing to cloth diaper again. 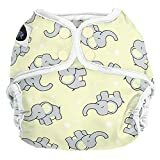 Disposables have been popular for many years, but a lot of parents realize that cloth diapers can save them lots of money, and are better for both the environment and their baby. 1. What Is A Cloth Diaper? 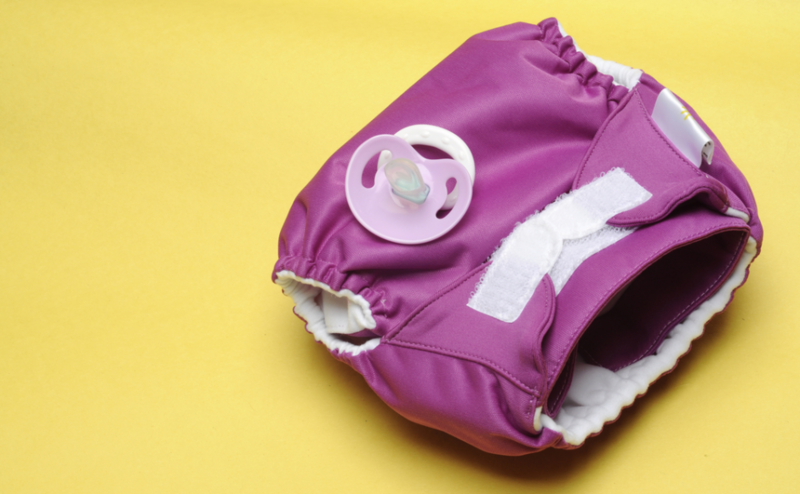 A cloth diaper has the same function as a disposable plastic diaper, except that unlike a disposable diaper, these can be washed and used over and over, even through multiple children. Cloth diapers come in many different types such as flat fit, fitted, all in one, all in two, hybrid, and more. The best cloth diapers can sometimes give you several different options in one diaper. 2. What Do The Best Cloth Diapers Do? The best cloth diapers enable you to diaper your baby without the fear of added chemicals on your baby’s skin. You also get the satisfaction of knowing that you are saving money by not having to buy diapers every week. Imagine the money you can save by using cloth diapers. The best cloth diapers offer you the best options for your baby and the environment. 3. What Types Of Cloth Diapers Are Available? These diapers have a waterproof exterior and inside pockets where you place absorbent inserts. The main benefit of a pocket diaper is being able to adjust the insert so that it absorbs more or less, and is positioned where your little one needs it most. 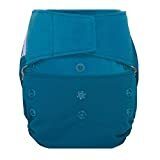 These are fully designed diapers with elastic leg openings and snaps or velcro tab closures around the waist, made entirely from absorbent fabric. Fitted diapers also require a waterproof cover to go over them. 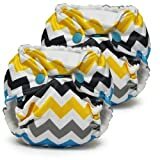 Their benefits include absorbency throughout the diaper (on the legs, waist, and hips) and being able to change the soiled cloth diaper, but reuse the waterproof with a fresh diaper. The most like disposable diapers, all-in-ones are the full package: waterproof cover and attached cloth liners to absorb fluid. When you change your child’s diaper, you toss the entire diaper into the dirty pile to be washed, and then grab another (no folding, no inserting). The primary benefit of these is convenience. Very similar to all-in-ones, hybrids have a waterproof shell as well but feature a liner that snaps in. At changing time, you just pull the dirty liner/insert out and snap a fresh one into the same shell (as long as there was no leakage onto the shell). The benefit of this system is you can purchase fewer shells (AKA covers) and just stock up on liners. 4. Where Can You Buy Them? 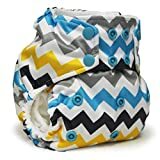 The best cloth diapers can be bought on Amazon, Etsy, Boutique baby stores, and other online retailers. You can also sometimes find them in your local retail stores, such as Walmart or Target. The best cloth diapers are available from around $5 to about $30 apiece. It really depends on the brand, the style, and what features you are looking for. 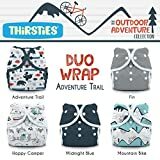 The following cloth diapers were researched and reviewed by us and were rated based on the features available, the pros and cons, price, how easy they are to purchase, and what kind of warranty if any was available. Cloth diapers are available for purchase from $5 to around $30. It depends on what type of cloth diapers you decide to purchase. The features, absorbancy, materials, etc. will determine the prices. Cloth diapers are also sometimes priced higher depending on the type of print they have. There are companies that make certain prints in a limited quality, and they charge more for these special prints. Charlie Banana is a hybrid diaper but puts whatever liner you use – cloth or disposable – on lockdown. Cloth liners are inserted into a front-loading pocket (to avoid having to pull the liner out through a mess in the back), while disposables are held on by an end flap. Soft fleece along the back makes for a comfy fit. OsoCozy prefolds come in two different sizes: size 1 (7-15lbs) and size 2 (15-30lbs), creating a better fit when folding around your baby. The even better news is that you can trifold them and stuff them in your baby’s pocket diapers or lay them in a cover when they grow out of the sizes for the origami folds. The GroVia includes everything you will ever need to cloth diaper from birth through toddlerhood. It is designed to fit babies from 10 to 35 lbs and also comes with snaps and a removable velcro option. This diaper is excellent for heavy wetters because it has a custom super soaker system. It even works great as a nighttime solution for moderate wetters. It comes with small and large cotton blend soaker pads that are easily snapped together to create a double insert for optimal absorbency. The larger soaker pad has grooves in it, which helps catch all the liquids, maximizing the diaper’s leak protection. Patent pending leak-proof outer cover and stretch-to-fit sides for a custom shape and fit. The BumGeniusFreetimesare an all-in-one system designed to fit babies from 8 to 35lbs. This diaper is available in a variety of colors and prints, and comes with a custom butterfly closure system, making it easier for parents to get a good fit around their baby’s waist and legs. Because the inserts are sewn in, this diaper is ready to go, making it hassle-free for busy parents and caregivers. All you have to do is fold the flaps the way you want them and put it on. Adjust the insert to accommodate where your baby tends to soak their diaper the most. These diapers are designed to fit babies from 8 to 40 pounds, so you’ll be able to use them pretty much throughout your entire cloth diaper journey. The inner soaker is sewn in, making it convenient and stress-free for those new to cloth diapering. The insert is comprised of microfiber and microfleece, which absorbs well for most babies. If this material isn’t enough for your heavy wetter, then there is a pocket inside the diaper where you can stuff another insert of your choice. This cloth diaper is pretty much the only one out there that will fit preemies and smaller newborns. It fits from approximately 4-12 lbs and is designed to fit well around those tiny legs. It also features a snap down option to keep the diaper from rubbing against and irritating the umbilical cord. The best thing about Rumparooz is how you can get the “just right” absorbency level. This pocket diaper comes with two inserts that can be used together or separately. There are six different ways to configure these inserts, before stuffing them inside the diaper pocket, to increase absorbency and place padding where your child needs it. Also, Rumparooz have both an inner and outer elastic barrier around the leg openings to make leakage near impossible. The Smart One 3.1 is an organic, one-size, AIO diaper. This diaper will fit babies 8lbs-35lbs. 100% Organic Cotton inner provides a trimmer, more absorbent diaper. Attached insert can be folded to customize where your child needs the most absorbency, a total of 10 layers! With Smart Bottoms 3.1 organic all-in-one, you won’t have to worry about your baby having any harsh chemicals against their skin, as the inside of this diaper is made of 100 percent certified organic cotton. The organic cotton is super soft and helps prevent diaper rash, even among the most sensitive of skin. Concealed super absorbent core and stay-dry inner layer keep moisture away from your baby's delicate skin. 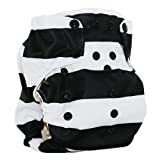 This stylish all-in-one diaper is just as easy to use as a disposable, making it an excellent choice to send to daycare. The Miosolois designed to fit from birth up to potty training and comes in 18 adorable designs. The rise snaps and hook and loop closure make it simple to get a good fit for your baby. 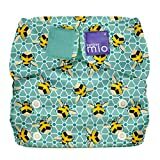 It also comes with fold back laundry tabs to protect the velcro when it’s in the wash.
Our winner was the Bambino Mio all in one diaper. For the price, you can’t beat the options of absorbancy by adding or taking away liners. These are great for beginners and advanced moms alike.